“It is important for us to note that the fact that we are in the twenty-first century does not make all the earlier avenues of sales and marketing obsolete.” – Marketing Strategy, Book one of the SMstudy®Guide. Online marketing is where it’s at, right? The benefits are numerous and have been noted extensively in reports and articles galore by marketing professionals and others who’ve taken the time to track the data and offer the proof. Online marketing is definitely where it’s at. Or, is it? In other words, online marketing might not be the only game in town. Some old-school methods might, in fact, be cooler (and more appropriate) than you think. Take snail mail, for example. Direct mail, which seemed to have gone the way of paper news and landline phones, is now seeing a revival. The most commonly cited reason is the personal factor. In an age where we receive a slew of emails every day, to receive a piece of paper mail with our name on it (as opposed to “current resident”) seems positively Downton Abbey. We’re loving the nostalgia of it and it’s standing out in our consciousness, because unlike email, paper mail is rare nowadays. Craig Simpson, direct mail marketing professional, emphasizes the personal touch of direct mail. “It makes it seem like someone put some extra effort into what they sent as opposed to just quickly shooting off another email,” Simpson said. Other noted plusses for direct mail include the ability to precisely target market segments and the fact that compared to email, physical mail has a greater likelihood of being opened. Direct mail is also a flexible channel with a variety of options. Postcards, flyers, publications and free samples are all on the table when considering direct mail. SMstudy states, “It is a fact that people now spend more time on the Internet using devices than they spend through conventional mass media, such as television, radio, or newspaper.” So, it is logical to focus many marketing efforts online. 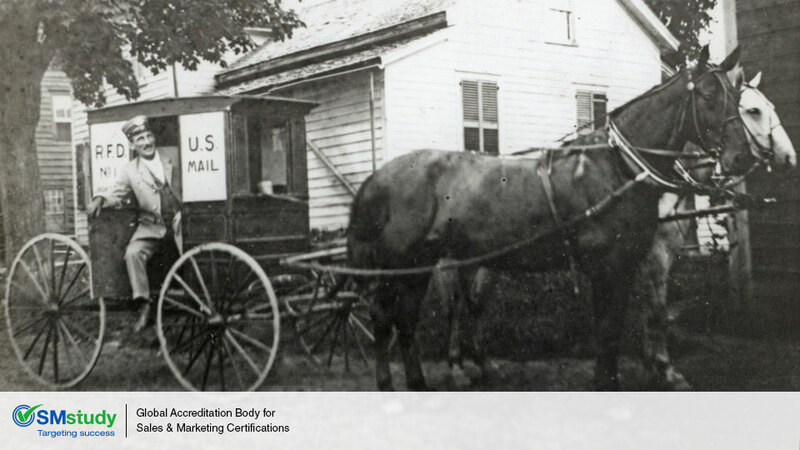 However, if physical paper mail is best in reaching a company’s audience and in turn reaching the company’s goals, marketers should not be afraid to pull out an “oldie but a goodie” from the continuum of sales and marketing. For more on sales and marketing, visit smstudy.com.